Get A Free Paracord Survival Bracelet With Fire Starter And Whistle! Paracord Survival Bracelet with Fire Starter and Whistle Built In – By Survival Gear Authority. Never be without some of the most important survival necessities again with our 4 in 1 paracord survival bracelet. 8 to 10 feet (depends on size) of 280lb pulling force paracord for cordage, netting, binding, and much more. Paracord is perfect for hanging a hammock, cordage for a shelter, binding, first aid, and much more. Easy Sparking Fire Starter / Fire Striker – start fires without a lighter! (note there is a protective coating on the rod you need to scrape off before it will spark). Signalling Whistle, be heard and get found. Plus a Mini Saw! 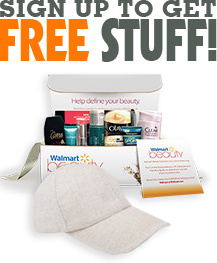 RECEIVE FREE PRODUCTS FOR AN HONEST AMAZON REVIEW! SIGN UP TODAY! SPACES ARE LIMITED!